A Vicpole strength has always been in our ability to run with a concept, and through working closely with our partners, bringing it to fruition. 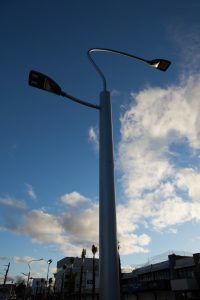 For decades, Frankston’s station precinct was in need of an overhaul – revitalisation, improved lighting, and safety were high on the priorities list. In early 2017, conceptual pole drawings were provided to Vicpole. After many months of “tweaks and adjustments”, the poles were fabricated and are now installed. The result is inspiring. 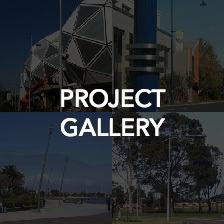 Stylish Iguzzini luminaires, compliment the waves and curves of the Frankston Realm poles. Many thanks to Iguzzini Partner, Public Transport Victoria, Vicroads, Aurecon Hassell and Frankston City Council. We’re pretty happy with the result, so we’ve made a video to showcase how a pole is made from start to finish. Enjoy!